Children learn through play, as we know. Even when it looks like they’re zooming around, buoyed up on sugar, they’re improving their balance and co-ordination, as well as building up muscle. When they’re talking to their dolls and arranging them into tea parties, they’re learning empathy and creativity. When they’re drawing all over your walls, they’re….well, they’re being a nuisance. As toys are such a vital element in a child’s development, it’s important to choose playthings that will engage mind and body, like the Disney Planes Tilt and Fly remote controlled plane. This plane is based on Dusty from the recent Disney Film Plane and its steering is controlled by your child’s movements! Turn left or right and Dusty does too! Dusty can also call out three commands to chime in with the action, and he has a repertoire of three pre-programmed moves, as well as 40 noises and phrases from the movie. The Disney Planes Tilt and Fly is around a foot long, and can handle most surfaces, apart from shaggy carpets. This is a good way for children to learn the difference between left and right and your child will have hours of fun barreling around with this engaging new chum. Although the Disney Planes Tilt and Fly plane doesn’t actually leave the ground, it’s still a great toy for children, as they can pretend to fly right alongside it. Traditional toys may seem to have gone out of fashion, but they certainly haven’t, and for parents looking for an old fashioned gift, there’s the Little Tikes Super Chef Kitchen. This play kitchen comes in gender-neutral colors, so boys and girls can practice their culinary skills on the oven, hob and microwave. There’s also a coffee maker and even a plate rack! 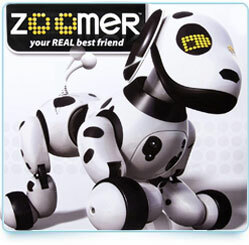 From the traditional to the ultra-modern now, with Zoomer, the robot pet dog that really does act like the real thing. Zoomer can learn tricks, roll over for a belly-scratch and respond to his name. He even has a few silly moments when he doesn’t obey his master or mistress! This little robot is perfect for young children who aren’t quite ready for a real dog yet, or for families who haven’t got the space for one. Your children will fall in love immediately! I LOVE the zoomer – such a fun and different toy. 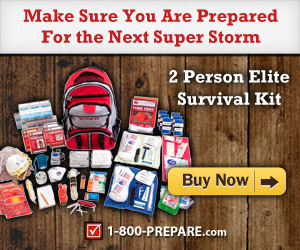 With the price, though, it has to be a “common” gift that the kids will have to share.